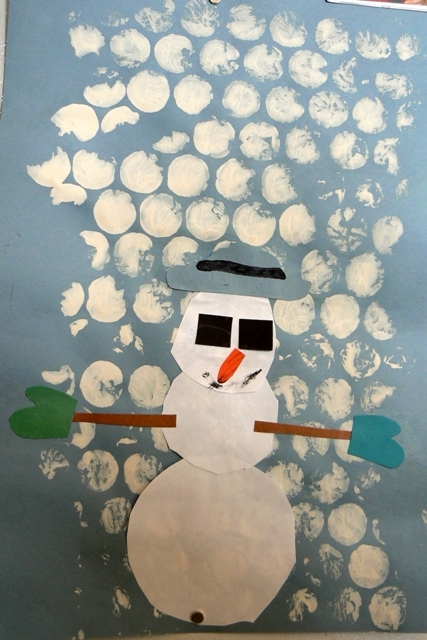 Little’s class did a unit on snowmen last week. Their letter was S, their color was white, and their shape was, strangely enough – rectangles! (whatever) Anyway, here is the artwork she brought home. Notice the fine scissor work on that snowman. 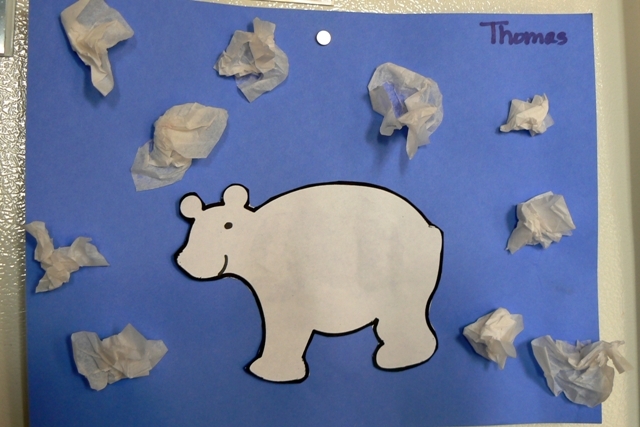 Bubba’s class had a polar bear day last Wednesday. He stuck the tissue paper to the glue all by himself!